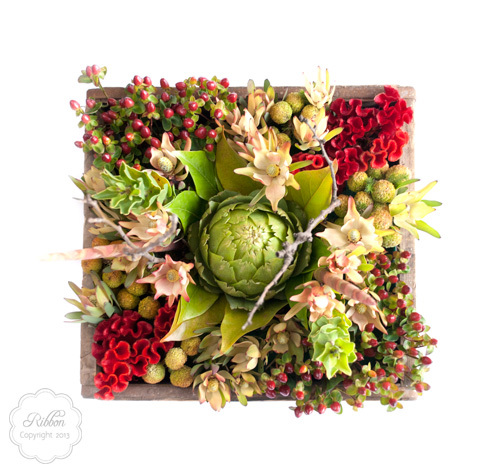 When Mandy first contacted me about doing her wedding stationery, she explained the style for her wedding as natural, earthy and vintage with the focus on Proteas. As you’ll see in the images below, provided by Model Image Photography, this is exactly the look she achieved. 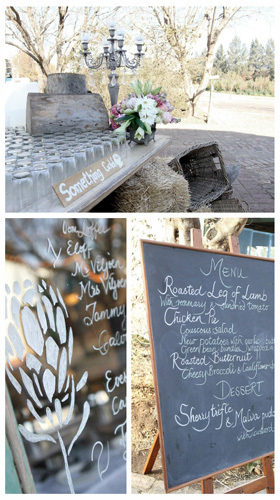 I love to see a bride who is so involved in the décor of her wedding – not only in coming up with her own ideas but also in getting her hands dirty with creating some of the items for the day. 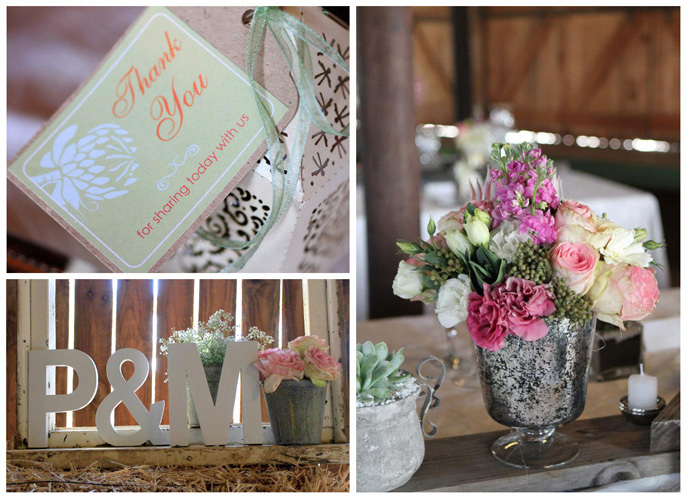 Mandy made her own table numbers, seating plan, gift for the guests and so much more! 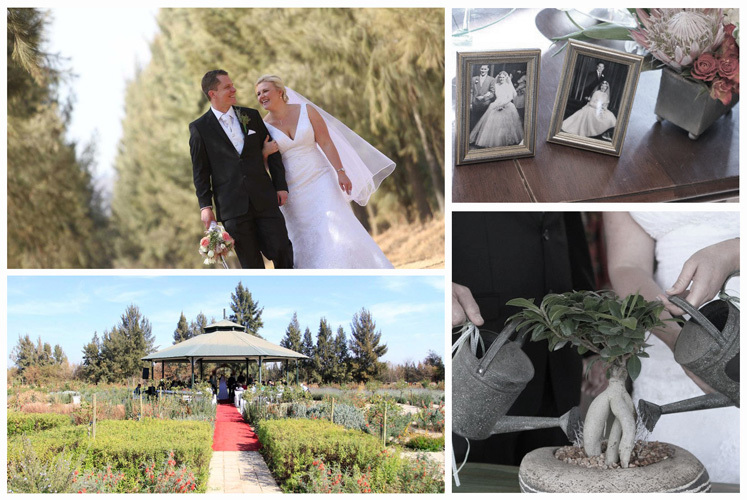 Mandy and Piet Viljoen got married at the lovely Rosemary Hill – see a previous blog post about the venue here. 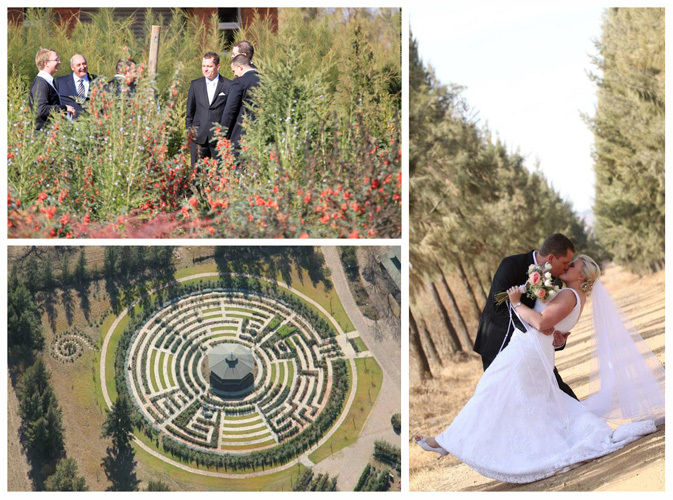 The magnificent trees and farm feel acted as the perfect back-drop for Mandy’s vision. 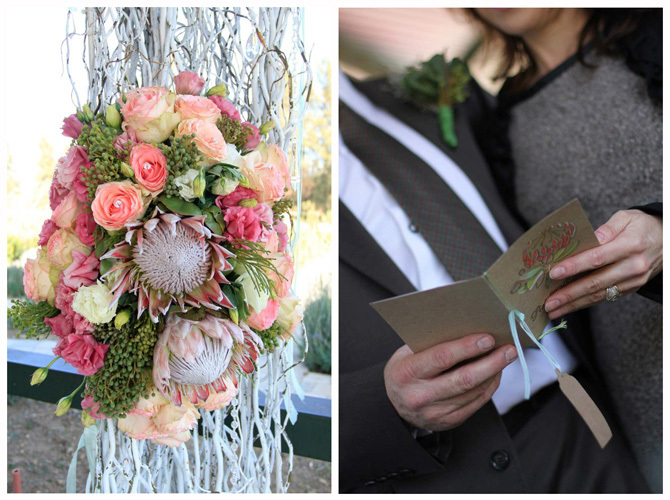 It was a morning winter wedding but Mandy and the venue brought so many warm touches to the day like a blanket with a “Keep Warm” tag for guests to use during the outdoor ceremony. 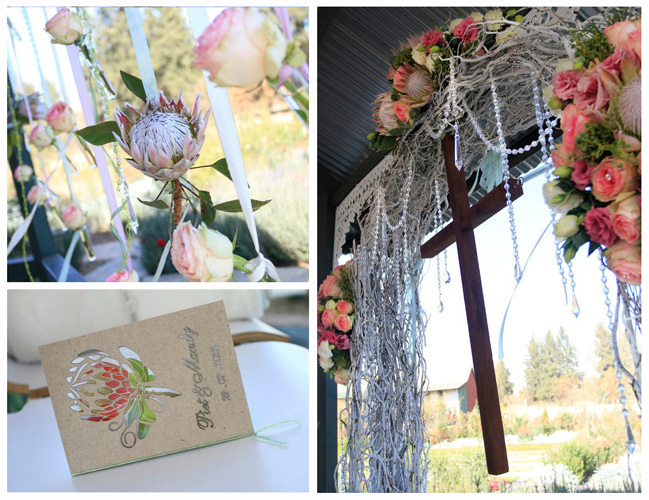 The protea motif that Ribbon Wedding Stationery created for the invitations and on-the-day stationery was reflected throughout the day – in the beautiful flowers arrangements and small details such as the seating plan painted on glass window panes. 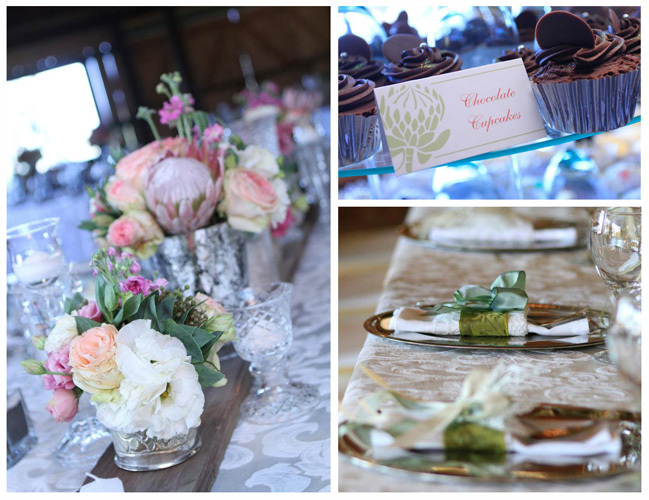 It was a pleasure working for such a lovely bride with inspiring ideas. 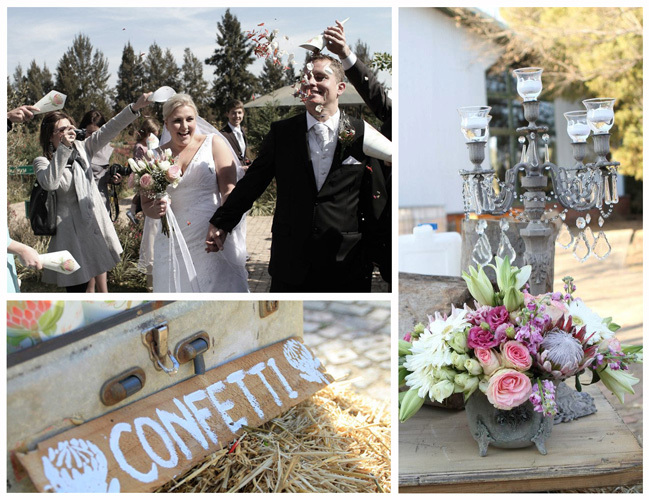 Ribbon wishes you all the best for a future that will be as happy and beautiful as your wedding day was! I’m starting this blog 199 days before my own wedding day. 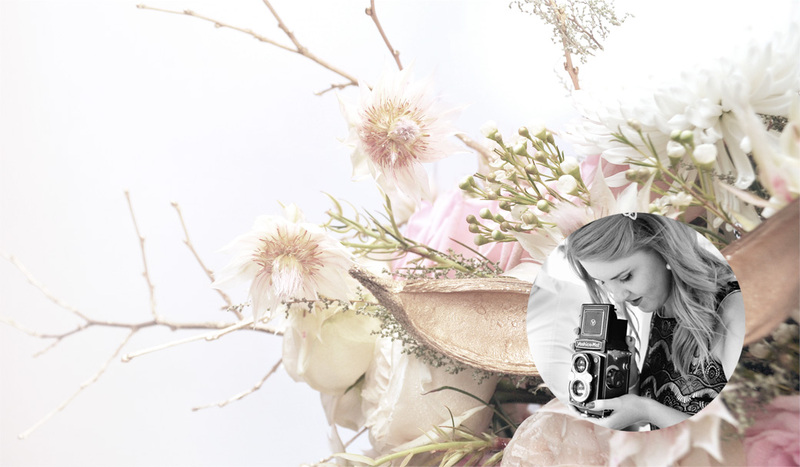 I decided to start this page to share my work and interests as a wedding stationer but also to share my experiences in planning my own big day. Because I work in the wedding industry, I know what’s out there. I don’t just design stationery as a graphic designer but as someone who loves all the aspects of a wedding. This is why I spend hours looking at photographer’s work, dresses, wedding décor and all the other bits and pieces that make up a wedding day. So now that it’s come to my own time to wed, I’m lucky enough to not be a newbie on the scene. The entries to follow will be all the little things I experience and ideas I have on-route to 4 February 2012. In sharing these, I hope to assist other bride-to-be’s as well as share the work and services of other good wedding vendors. I’m based in Gauteng so vendors will mostly be local but with some special ones eyed in other provinces and even other countries. 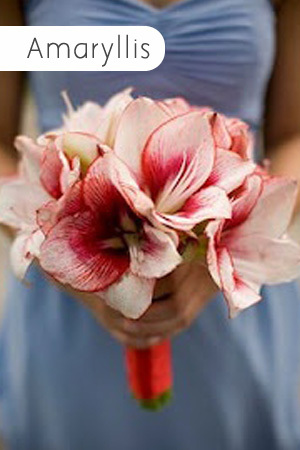 Hope it’s inspiring and gets those wedding brain bells tinkling!